We have entered into the time of year that I like to call, “Guns Galore.” What I mean, is that everyone and their uncle is releasing products leading up to SHOT Show, and at the show itself. The main goal here, is that the gun makers want to get as much exposure as possible from the media (like yours truly and the rest of the team at concealedcarry.com) and buyers who will stock these fancy, new guns in their shops. So, I hope you're okay with us sharing as much of this info with you as we can, as new guns and gear press releases break. 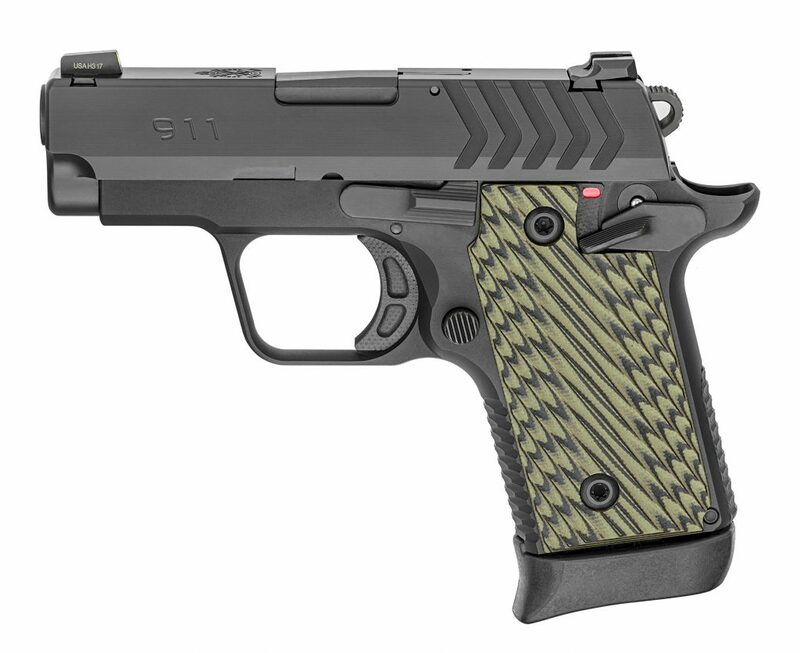 Over the long weekend, Springfield Armory released a brand new pistol in the from of a pocket (micro) 1911 chambered in the .380 ACP self-defense cartridge. Let's take a look at it. It features a 6-round or 7-round magazine, 2.7 inch barrel, dry weight of 12.6 ounces, hard-coat anodized aluminum frame, and a stainless slide with an MSRP starting under $600, and going up to $789 for the laser model. I, personally, think they have a winner on their hands with this one, because a lot of folks are looking for a “cheaper alternative” to what is currently out there. What is out there? If you look closely it looks very similar to something else on the market, namely the SIG Sauer P238. While the internet is rife with comments demonizing SA for “stealing SIG's design” let's try to not forget that SIG took this idea from someone else, too. There is essentially nothing new under the sun, and Colt first made their Mustang, if I'm not mistaken, back in the 1980s. Pushing the envelope even further, the Star SS came out in the 30s or 40s, which I think was the first .380 pocket pistol resembling a 1911. And, if you want to get technical, Colt released their 1911 pistol way back in, well, you know when. I'm personally looking forward to getting to the range out at SHOT to take the 911 for a spin. I love pocket pistols, and one of these may have my name on it in the near future. Stay tuned for this one due to be hitting store shelves at some point soon and we'll be sure to get some coverage at SHOT Show, 2018. Visit Springfield's website for more information on the 911. Guns Galore Season is upon us, what are you looking forward to seeing? Leave a Reply to Rbeezy Click here to cancel reply.